Don’t know much about history? Where have the Home Groaners been over the last 10 years? 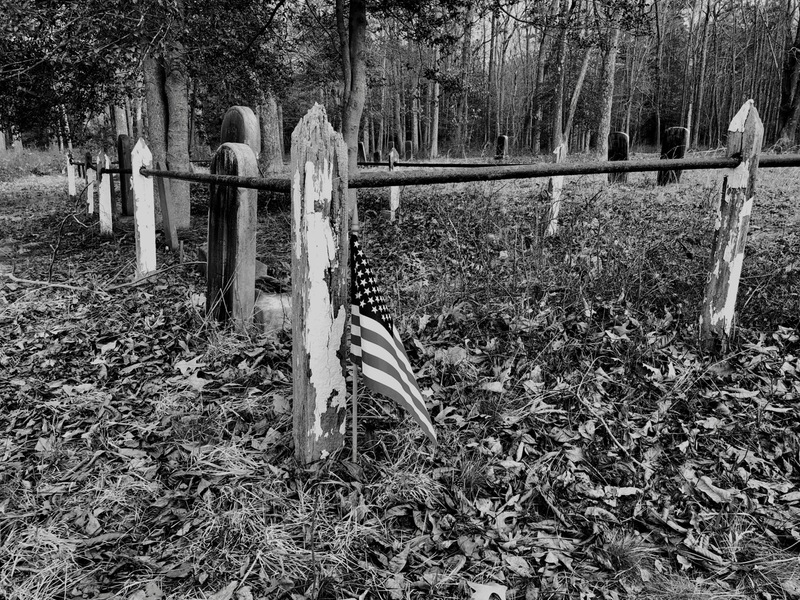 The Brewer Cemetery (1810 Farmingdale ) where the NERP ought to be buried. Paul Goldfinger photograph. © 2015. A little historic perspective is now in order since the Township is insisting on pushing their unfortunate ten year-old North End Redevelopment Plan past the citizens and into the reality of a construction zone. They are determined to move quickly and to break a variety of rules along the way, and the public be damned. But why not push this travesty through since they have had a lot of experience doing whatever they please with zoning abominations, architectural design, land use law, and condoization of our little town? Let’s go back to 2008. The Neptune Planning Board received a request from the Township Committee to consider the idea of an Area in Need of Re-development for the long neglected and vacant North End. The Camp Meeting Association associated with a group of developers called WAVE and conspired to find a way to bypass the single family zoning of that time. So they decided to exploit a State program designed to bring to life horrible urban land areas, such as the inner city of places like Camden, where nobody wanted to invest and develop. The program was not intended to help affluent developers such as the CMA and WAVE do away with current local zoning and instead allow them to do pretty much whatever they wished. The Planning Board had a meeting in 2008 where only 6 of 11 members were present to act on that request. Only 5 “yes” votes were needed to approve the Redevelopment project. For such an important meeting, 100% of members should have been present. Were those absences a form of protest? One of the 5 who would vote “yes” was Denis McCarthy, the President of the OG Homeowners Association. If he had voted “no” we would have had single family homes over there a long time ago. But he voted “yes,” and the Committee accepted those 5 “yes” votes and went ahead and allowed that Area in Need of Redevelopment. Fast forward to 2011. There was no progress at the North End, so the OGHOA, instead of insisting that the NERP be abandoned, met with the CMA to ask that the project be scaled back. Then Randy Bishop presented that idea to the Township, but the historic reality is that the HOA had no authority to negotiate anything with anybody regarding that public project. And, the HOA plan was never officially approved, but they have continued to brag that somehow they made progress. Now, as you know from our recent articles, a new re-developer has been named called OGNED. Mayor Williams said publicly at the last Committee meeting that the “OGNED plan” would be approved. However, there is still only one legal plan extant, and that is the 2008 North End Redevelopment Plan. The explanation of the current situation and negotiation was presented in such a muddled way at the November meeting, that we called it “gobbledygook” in our last article. Last night, December 10, 2018, at the Committee meeting, a representative of the OGHOA, Joan Venezia, went to the microphone during the Public Portion to complain that the recent explanations by the Redevelopment lawyer and the Mayor were so confusing that no one at the HOA understood what was going on. Jack Bredin from Blogfinger concurred, as we did in a recent article. But here is the rub: After 10 years, the HOA is still supporting the NERP instead of taking the side of reasonable and caring residents. And, despite 10 years of their failure to accomplish anything meaningful regarding the NERP, they are not embarrassed to say publicly that they don’t know what is going on and that they have not employed any impartial experts to help the community understand the process. When Ms. Venezia asked the Committee when public hearings will be held on this matter, she was told by Mr. Gadaleta, the Township manager, that the public can be free to ask questions when the HPC has its hearing and when the Board of Adherence has its rubber stamp session. But, the HPC has no power to rule on the NERP–only the architectural drawings, and the Board of Adherence will not challenge any of this despite what public statements are made by Grover residents. At Blogfinger we are still doing our best to stay on top of the situation and to demand that the fraudulent Area in Need of Redevelopment be abandoned, with a return to single family zoning, a decision that would be consistent with the Master Plan in this historic town. VALERIE MASTERSON from the soundtrack of the marvelous movie “Quartet.” This is from Gilbert and Sullivan’s the Mikado. The Township now depends on the OG Home Owner’s Association for their continued support of the project. Sorry Jack, but painting the CMA as good guys in this scenario does not hold water. In 2008, they were named as Co-Redevelopers by the Township. They did not protest that designation. The only reason that they were not official is that they and WAVE never signed a formal Redevelopers Agreement. The Home Owners Association will not demand that the Township vacate the “Area in Need of Redevelopment” designation. They have supported this travesty since the beginning and they won’t back down. Who knows why they are so supportive of this North End plan? It is suspicious. When these Groaners go to the microphone to speak in the Public Comments portion, they never say that they are representing the Home Owners Association, but everyone there knows that they do. Why don’t they ask their members to vote on what position they should take on North End plan? And also, keep in mind that the OGHOA does not represent any residents who are not homeowners, and if you factor in the members of their group who do not agree with their position, one could argue that they should have no special voice in this debate, such as the time in 2011 when they unsuccessfully tried to “negotiate” a change in the NERP. I recall the Home Owners hiring an attorney to represent the Home Owners Association regarding the increasing discrepancies for increasing monthly fees (“ground rents”) with new and old property owners and the Camp Meeting with success. There is a budget for important issues that the home owners may use for important purposes like this new scary mess of a development proposal. Well, heck, it’s time …hire a litigator to represent the home owners at these development township meetings ASAP in a smart concise way. We deserve to be heard and represented legally. The CMA never made a formal request to become a Co-Re Developer of the North End in the first place. Yes, in 2008 they were illegally named as Co-Re Developers by resolution. However, in a letter to the Township dated June 3, 2015, the CMA requested to be removed as a Co-Re Developer by resolution. This month the Township adopted a resolution with 4 attachments that granted the CMA’s request. WAVE remains with a new name OGNED LLC. They are now the Re-Developers. The CMA simply had the good sense not to become part of the sleaze. What the Heck 2: Regarding that lawyer, the HOA paid $7,000 (or more; not sure) for legal fees then, but the OGHOA never made his opinion public, and they should have, using the group’s money to pay. It’s not clear that the legal fee was approved by the members. And it’s not clear that the lawyer’s activities were responsible for whatever success occurred then. Perhaps the CMA itself backed down. Maybe someone in the know could tell us. Your comment is important. Would you like to tell us who you are? Is Neptune and it’s attorneys using the public’s ignorance of the law to permit it to violate the law? The questions raised in Blogfinger clearly points to the troubling fact that the Township and it’s attorneys are violating and acting outside the law. The planning board hearings held ten years ago were all based on evidence that has been shown was false from the very beginning, and now, the Township has hired a new attorney to continue using and promoting those very same false and illegal reports and findings. There can be no other conclusion drawn but that there is very serious corruption taking place with the entire North End project while using tax payers money. Someone needs to call a public news source to get publicity about this project and the corruption going on… a reporter who can report. State agencies need to be notified. Who should be contacted; and quickly to stop this runaway train? This source and forum will not make enough noise to stop it. However it is here that we learn and ask what the heck? Thank you Blogfinger. but ..Heck what’s next? What’s the next step? This can be an anonymous call by anyone or more than one .. whoever can help should post where to call… ? on December 14, 2018 at 12:14 pm So opposed! How about contacting the community editor at the AP Press?